On behalf of the Greater Poplar Bluff Area Chamber of Commerce, we would like to welcome you to our community. Whether you’re raising a family, running a business or simply enjoying the many recreational and cultural opportunities that abound in our area, Poplar Bluff is a vibrant and special place to spend your time. We are very proud of our community, which is also the county seat of Butler County. Poplar Bluff is located in the southeastern part of Missouri and provides some of the finest restaurants, specialty shops, golf courses and recreational opportunities that you might find in larger cities. As one of 20 designated Micropolitan Areas in the state of Missouri, we are the regional commercial and industrial hub with an average daily population of almost 60,000. We provide the retail centers for your shopping needs, as well as industries and business centers that provide jobs to not only our residents, but also those from within our trade area. Poplar Bluff is truly the crossroads of opportunity for anything you may need. As the advocate for the business community, the Chamber provides programs and services to ensure we maintain a favorable business climate and also acts as the conduit to promote economic, organizational and community development. Poplar Bluff has boasted a high quality of life for many years. Our residents are here because they want safe and secure neighborhoods and excellent schools as well as the many amenities necessary in a community of our size. We have generations of residents who have lived here their entire lives, and a strong sense of community and tradition is evident in the involvement and difference they make in the various community organizations. 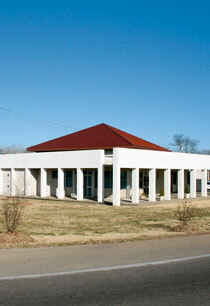 The Poplar Bluff Area Chamber of Commerce is instrumental in aiding new and existing businesses and industries. With a membership of more than 650, the Chamber is growing and adapting to meet the needs of our members and the community. Partnerships with our local governments, state representatives and federal officials allow us the opportunity to stay on the cutting edge when it comes to programs and services for our membership and the community. Welcome again to our beautiful and progressive community; we encourage you to explore the many attractions Poplar Bluff provides. While you are here we guarantee you will be treated as a friend.